I have mentioned many times before that my Sammy is quite the collector. Whenever we go for a walk he always finds “treasures” that must be taken with us. I understand his Daddy was the same way as a wee one (and certainly does a lot of encouraging!) Benjamin seems to have also gotten the ‘collectors gene’! Our nature walks are now always full of collecting treasures. So I have been finding creative things to do with all of these wonderful things my wee ones find. 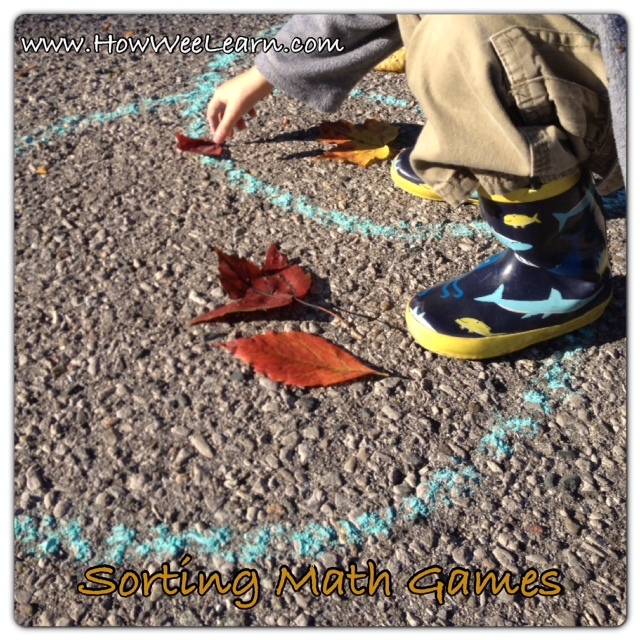 Sorting these collections is something we do often, so I thought I would share one of Sammy’s favourite sorting math games. This math game is similar to our Graphing with Nature Math Game. First of all, I drew a Venn Diagram out of chalk. These can be done on paper, with hulahoops, or on the ground with tape. 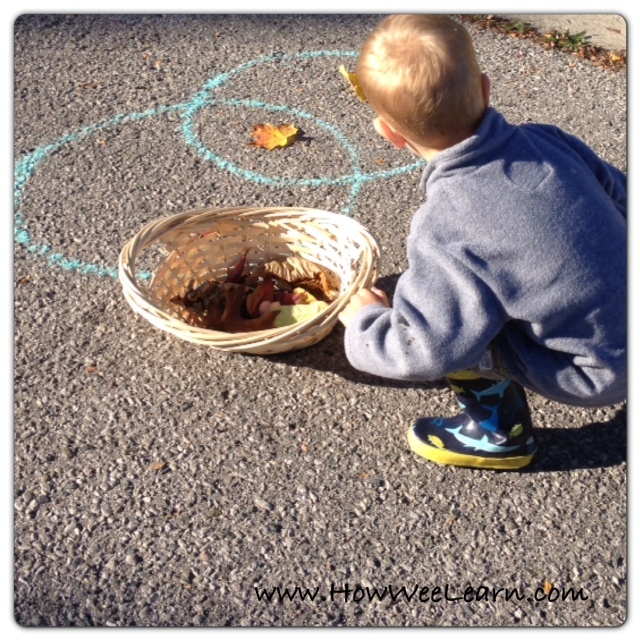 We used Venn Diagrams all the time in Kindergarten – it’s a great organizer for wee ones. A Venn Diagram is 2 big circles that overlap in the middle. One circle is for one type of item (like red things) the other circle is for a second type of item (like yellow things) and the overlapping part in the middle is for items that are both (have yellow and red). We did 2 sorting math games with these Venn Diagrams. Next, we sorted things by touch. Soft things in one circle (by soft we meant bendable), hard things in the other circle. 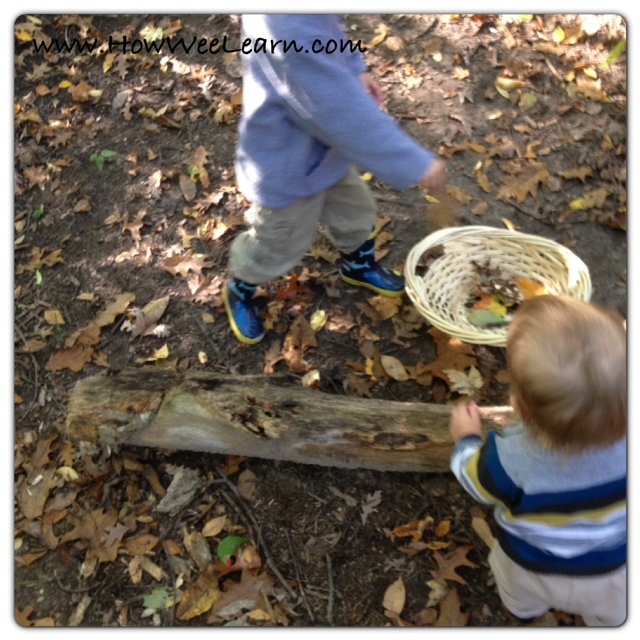 Leaves were all deemed soft, rocks, acorns, and some sticks were hard, and tree bark and a few ‘bendy’ sticks were put in the middle. This, coincidentally, turned out to be a good problem solving activity too. These math games were a great way to stretch Sammy’s thinking and help him build some different connections to items. When he usually sorts, he sorts all leaves, all sticks, and so on. 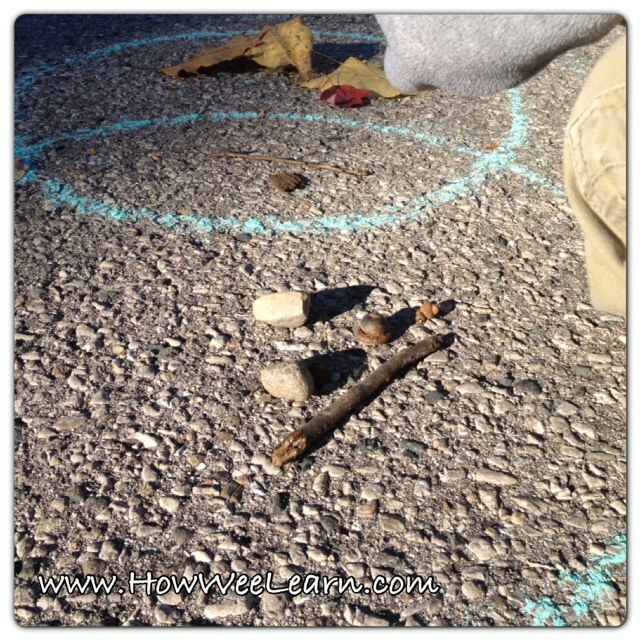 This was a neat way to get him thinking about different ways to sort. And now, I am afraid, I may have given him even more reason to collect! Well, at least I can rest knowing he was going to collect anyways, it is in his DNA. 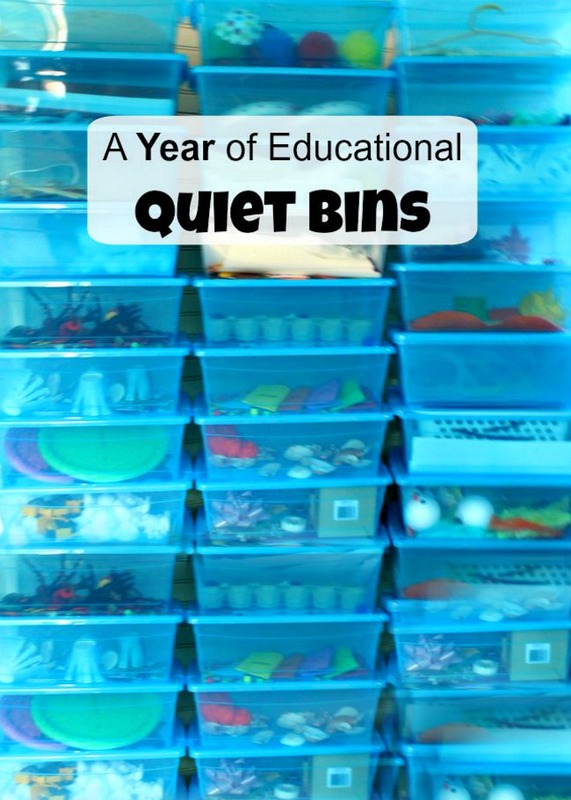 If you enjoyed this activity, please consider Liking us on Facebook, or Following on Pinterest so I can share more creative learning ideas with you! Thank you! This is SUCH a great idea. 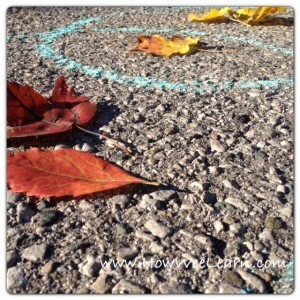 My kids love collecting things outside – it never occurred to me to do Venn diagrams on the driveway. Thanks so much for sharing this at After School! Featuring on Monday! And pinned to our group board. Amazing! I’ve never thought about using a venn diagram with anything other than words. 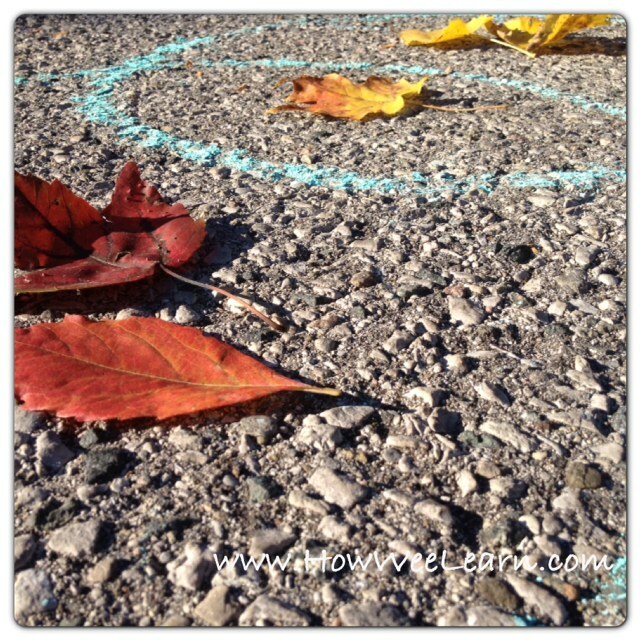 This is SUCH a fun way to sharpen kids’ observation skills outdoors! 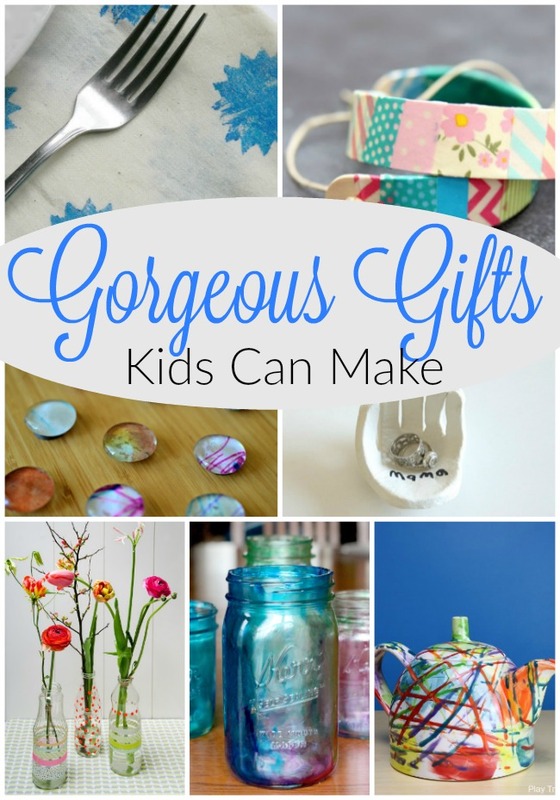 Thanks for linking up to the After School Linky! This is brilliant! 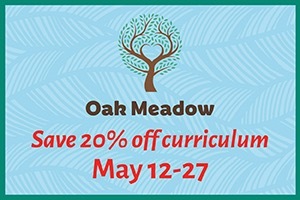 Absolutely love the combination of the outdoors and math learning! Thank you so much for linking up to this week’s Discover & Explore! Thank you for hosting Chelsey. Glad you enjoyed the post!